According to the ancient Greeks, happiness is THE EVOLVING OF THE SOUL. 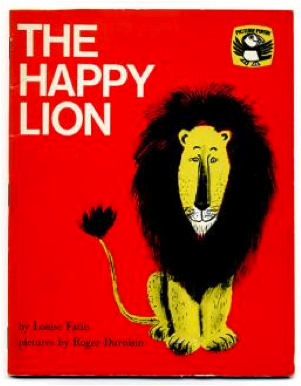 THE HAPPY LION written by Louise Fatio and illustrated by Caldecott medalist Roger Duvoisin. When the door to his house at the zoo is left open, a lion decides to visit his friends, but quickly learns that people are not nearly as polite or friendly in town as when they visit him at the zoo.